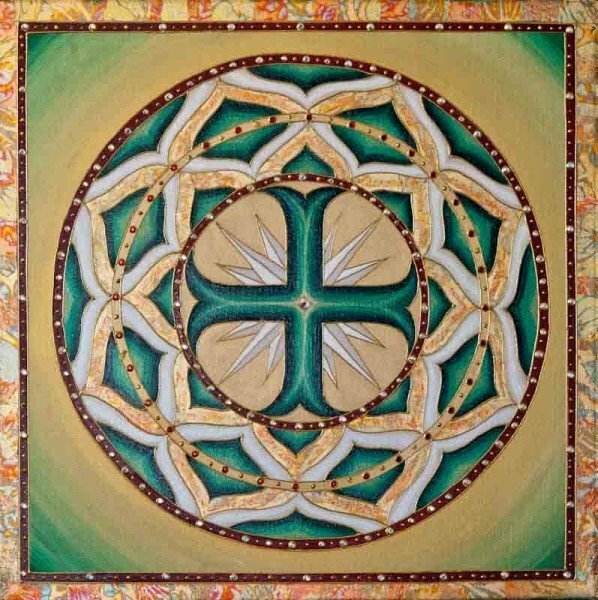 Timmy’s Gift | Artwork – Store – Tammi B. Ph.D.
Hand painted mandala 20" x 20" acrylic, mixed medium, gold leafing and Swarovski crystals. Created as celebration of authentic, supportive and long-lasting friendship. The colors of Christmas showed up, and I thought, what better gift could one have year round than a true, loyal and loving friend? I would be happy to recreate this for you with any changes you would like.